Kookaburra Sport Socks Keep your feet cool and comfortable during sport with Kookaburra Sport Socks. 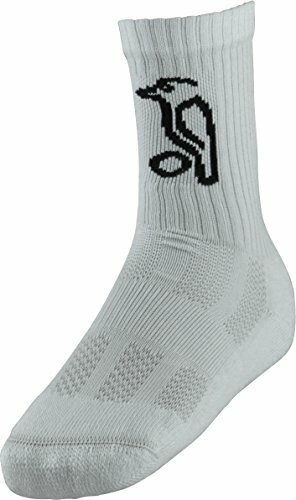 Kookaburra Sport Socks offer superior ventilation, extreme comfort and protection to your feet whilst you play sport. The wide panels give breathability which is perfect to help keep you dry and comfortable during sport. Flat seams guard against chafing and irritation so you are able to maintain your optimum performance levels, for longer. A padded sole adds further comfort in every step to help reduce the impact on your feet and additional cushioning to go with the sports shoe.